Discover the magic of the Pacific Northwest—with kids! 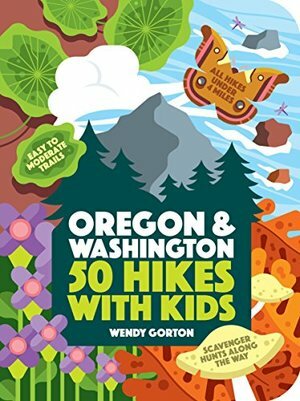 Handcrafted for Northwest parents, educators, and caregivers that want to spark a love of nature, 50 Hikes with Kids highlights the most kid-friendly hikes in Oregon and Washington. These hikes are perfect for little legs—they are all under four miles and have an elevation gain of 900 feet of less. Some are even accessible by stroller. Every entry includes the essential details: easy-to-read, trustworthy directions; a detailed map; hike length and elevation gain; bathroom access; and where to grab a bite to eat nearby. Full-color photographs highlight the fun things to see along the trail.